I love Peeps ... but honestly ... was afraid to try these! LOL!!!!! I didn't know where to find the answer, but the Easter bunny brought some for Alexis. We were confused as to what they tasted like, but I didn't like them. She did though. I'm glad that you found the answer! It was posted on the Peeps Facebook page. The chicks and bunnies were different flavors. The chicks were fruit punch and the bunnies were green apple. We don't get them here. But they look sooooo cute! P/s: I think you need to be a little more adventurous with your food. Go for an entirely new-to-you cuisine....Middle Eastern or something. 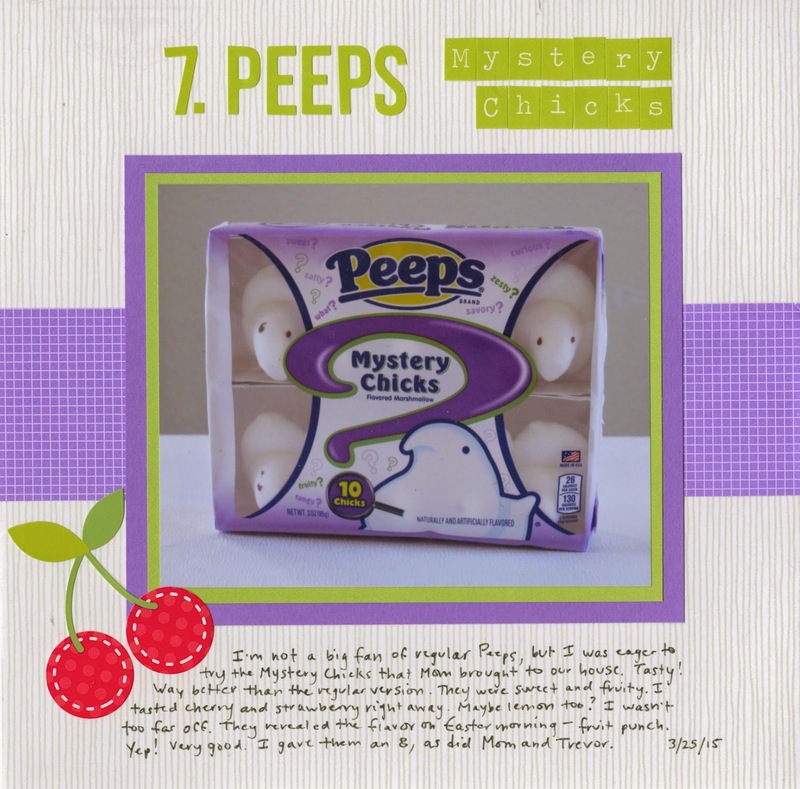 I've never seen or heard of mystery peeps. But as neither Cory nor I like the regular peeps, we probably wouldn't have been game. Your layout is very cute though and it's always fun to try a "mystery" item!